Today the suborbital test of IXV (Intermediate eXperimental Vehicle) was conducted. It’s an ESA experimental spacecraft that is designed to verify the some rentry technologies. 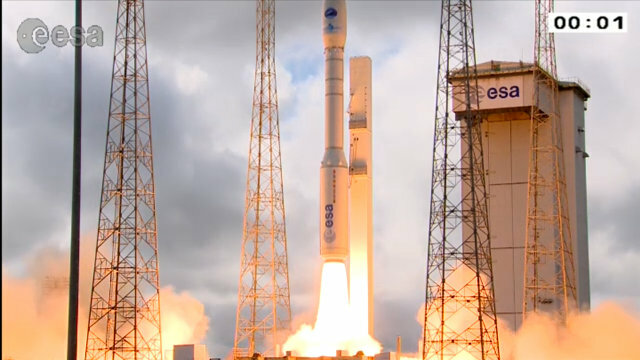 IXV was launched on a Vega rocket in the launch indicated as VV04 from the Kourou space center in French Guyana. The final purpose for ESA is to build a spacecraft capable of returning to Earth autonomously. Over the years, ESA has built various types of spacecraft, including cargo ships, but none are able to return to Earth. For this reason, in 2002 it was decided to develop the technologies needed in order to build a spacecraft capable of bringing cargo from the International Space Station or from other missions in orbit. A few hours ago the SpaceX Dragon spacecraft ended its CRS-5 (Cargo Resupply Service 5) mission for NASA splashing down without problems in the Pacific Ocean about 400 km (about 260 miles) off the coast of California. The Dragon left the International Space Station yesterday evening, American time. 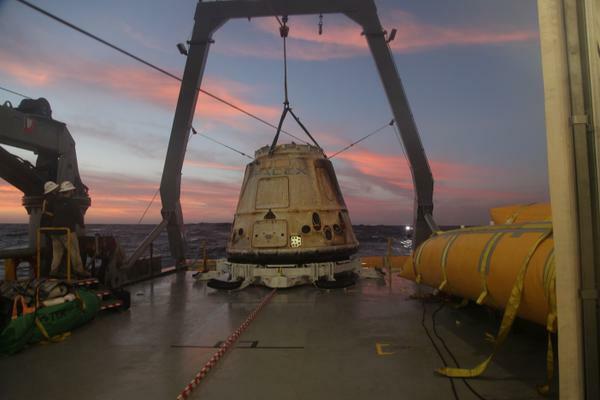 Shortly after splashing down, the Dragon was recovered by the SpaceX boats that will transport it to the coast. The cargo brought back to Earth should be delivered to NASA today. The Dragon spacecraft reached the International Space Station on January 12, 2015.